Last year Kona made waves with their Process G2 lineup. The 27.5" carbon bikes became a staple in many of daily rides. Continuing on with the evolution of the Process lineup, Kona are thrilled to finally announce the carbon Process 29ers! There's two gorgeous builds to choose from. They’ve also upgraded the spec for many of the builds and lightened the frame weights on all aluminum G2 Process 153s. To celebrate the release of the new carbon 29" Process bikes Kona headed down under with Connor Fearon to the Maydena Bike Park in Tasmania, Australia and filmed him putting the all-new Prcosess CR DL 29 through its paces on some truly epic trails in a truly incredible location. It’s nice having that one bike you can just grab and go with no worries about how it will handle on the climb or descent. We’ve built the Process 153 29 to be affordable and handle everything a trail can throw at it, so you can spend more time having fun and no time worrying about your gear. 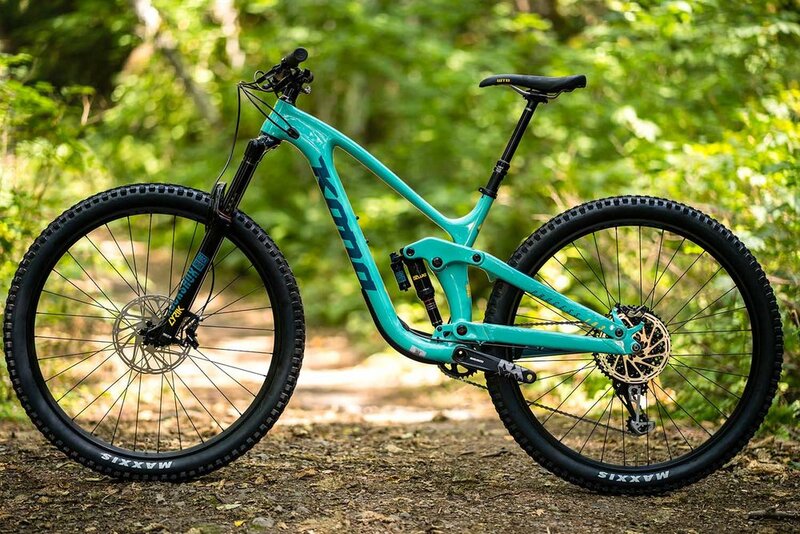 This year, the frame sheds a few hundred grams of weight and features 160mm of front travel via a RockShox Yari fork, and 153mm of rear travel is provided by a Deluxe RT Debonair shock. SRAM NX 1x11 drivetrain, Guide T brakes, Maxxis tires and a dropper post round out the build. The Process 153 SE is the bike that will go anywhere and do anything. It’s a strong, durable bike wrapped in a stylish and super fun package! With 153mm of rear wheel travel, suspension by Suntour and RockShox, a SRAM NX 1x11 drivetrain, powerful Shimano hydraulic disc brakes and super grippy Maxxis Minion tires, this bike is the perfect exploration buddy at an affordable price!